There's barely a week that goes by without North Korea being in the news. It seems that the Stalinist dictator there enjoys rattling his saber, even threatening America from the other side of the globe. Divided Korea provides one of the greatest object lessons in the world today of the difference between faith and unbelief. If ever there was a difference between Christianity and atheism, between freedom and tyranny, between capitalism and communism on display, it can be seen in the difference between South and North Korea. As an officially Communist state, North Korea is atheist to the core. And millions of people there are starving and even stunted because of malnutrition. Meanwhile, there are reports of incredible church growth among South Koreans. In 1950, the Communists tried to take over all of Korea. A U.N. coalition of mostly American forces tried to stop them. At best, we were able to win back South Korea, which is below the 38th Parallel. In the war, more than 36,000 Americans died. Sadly, for many American veterans of the Korean War, it is often called "the forgotten war," M*A*S*H, notwithstanding. Recently I was asked to participate in a small way in a program to honor veterans of the past who may feel like their service was forgotten or of no use. I was asked to write a personalized letter to a Korean War veteran who was going on the Honor Flight to Washington this past May. This is part of what I wrote to him: "Dear Al, Thanks for your invaluable service for our country. You couldn't know it at the time, but what you and the other American military members serving in South Korea have done is preserved freedom for that country. You have preserved even the opportunity for the Gospel of Jesus to go forth in Asia, since so many Christians from South Korea have been evangelizing. Many of them have been using the EE technique developed by Dr. D. James Kennedy, whom you and your wife have faithfully served." 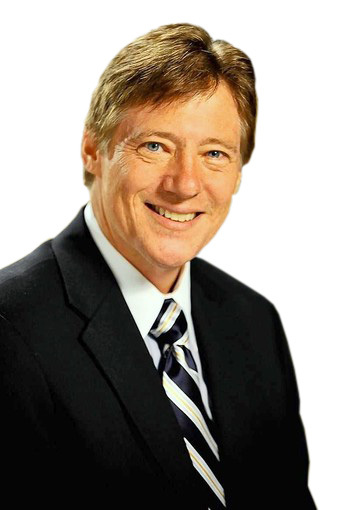 EE refers to Evangelism Explosion, a lay-witnessing program developed by Kennedy and now used around the world. 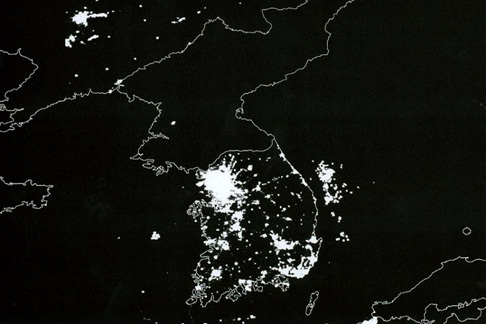 I added, "Look at the satellite pictures of Korea at night. You see Korea, broken into North and South Korea. The lights are on in pro-freedom, pro-capitalism, pro-Christianity South Korea. The lights are off in Communist and officially atheist North Korea. Again, thank you for your service. You fellows accomplished a great deal...Thank you. God bless you. God bless America, and welcome home!" Meanwhile, North Korea is one of the most dangerous places on planet earth to be a Christian. The Voice of the Martyrs is an American ministry that assists the suffering church all over the world. They have often noted that North Korea may well be the single most difficult place in the world to practice your Christian faith, even more difficult than in some of the Islamist countries. As America deals with an erratic leader in Pyongyang, we need to remember the lessons from history of the difference between – ultimately – Christianity and atheism. Belief in Jesus paves the way for all kinds of freedom. Atheism often shuts the door and instead limits and stymies the human spirit. The German philosopher Johann von Goethe once said, "All epochs of faith are epochs of glory, which uplift souls, and bear fruit for the present and the future. On the contrary, the epochs in which a sad skepticism prevails, throw, at the best, but a passing gleam, whose light does not reach the eyes of posterity, because no one wishes to devote himself to the study of sterile things." Many years ago, I had the privilege of co-writing with Dr. D. James Kennedy the book, What if Jesus Had Never Been Born? Our world has been infinitely improved by the birth of Jesus Christ and His touch in people's lives – from the Salvation Army to Mother Teresa, from William Wilberforce to the development of the International Red Cross. But what if Karl Marx had never been born? The Harvard University Press's Black Book of Communism documents that in the 20th century alone Communists killed about 100 million human beings. We don't have to travel far in our own hemisphere to witness the ongoing suffering that atheistic communism brings to people, as in Cuba and Venezuela. Why does the world have to keep re-learning this lesson? If you see a veteran of any war, including the Korean War, be sure to thank him or her. The world owes them a great debt, as I'm sure the South Koreans would be the first to testify.